A handful of Tesla Motors Inc. electric cars are now available for rental at two California airports by Hertz Global Holdings Inc., which is adding more upscale autos to its fleet. 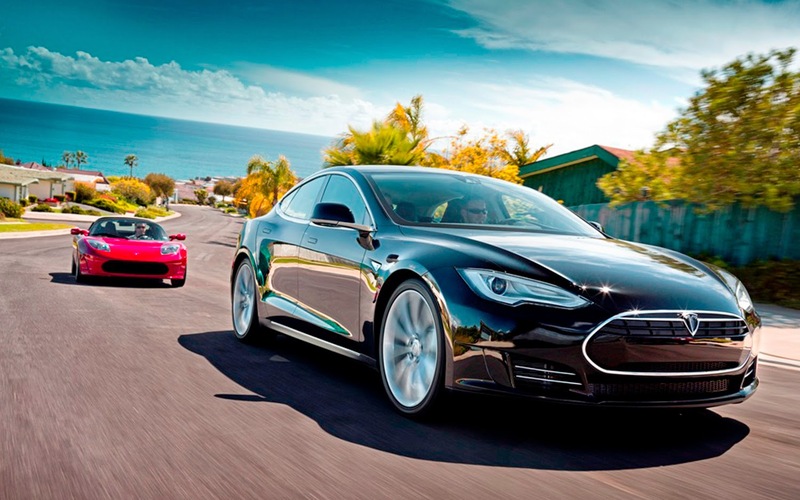 Hertz said it is introducing Tesla Model S and Roadster rechargeable cars at Los Angeles and San Francisco airports. Hertz has five Teslas combined at the two airports, with rental prices starting at about $500 a day, Paula Rivera, a Hertz spokeswoman, said in an e-mail. The Tesla models expand on a lineup of higher-priced vehicles that Hertz has added to its fleet under its Dream Cars program, which includes Ferrari and Lamborghini models. In July, Hertz won final regulatory approval for its $2.3 billion acquisition of Dollar Thrifty Automotive Group Inc. The merged companies compete with closely held Enterprise Holdings Inc. and Avis Budget Group Inc.
Enterprise has carried three Tesla Model S cars in its Exotic Car Collection fleet since June and plans to add two more by the end of the year, spokesman Greg Phillips said in an e-mail. The cars rent for about $300 to $500 per day, he said. Hertz separately reduced its full-year forecast for full-year revenue and profit, citing weaker than anticipated car rentals at U.S. airports.